Back in the summer of 2016, the HBCU Gameday team teamed up with HBCU Live on the hottest day of the year to film the first-ever HBCU Gameday documentary series with the hottest running back in the MEAC at the time, The Human Joystick himself… Tarik Cohen. Fast forward two years later and Cohen is now one of the hottest running backs in the NFL as he leaps into his second season with the Chicago Bears. Originally released as a four-part special on HBCU Gameday’s Facebook page in 2016 “Beyond theYard: In Depth with Tarik Cohen” was a milestone project not just for the HBCU Gameday platform but for showcasing HBCU talent BEFORE they make a name for themselves in the big leagues. And to celebrate the greatness that is Tarik Cohen, Filmmaker Wali Pitt has repackaged the four-part series into one 30 min documentary complete with updated highlights from Tarik’s rookie season in Chicago as well as his most memorable moments off the field and in the locker room. 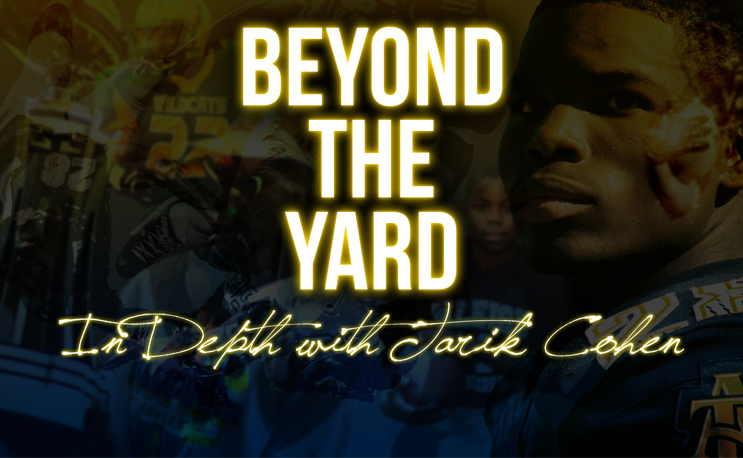 From candid interviews with Tarik and his family to one on one talks on the field at Aggie Stadium, “Beyond the Yard: In Depth with Tarik Cohen” will broadcast live Monday, September 17th at 11pm EST after Tarik and the Bears take on the Seahawks on Monday Night Football.